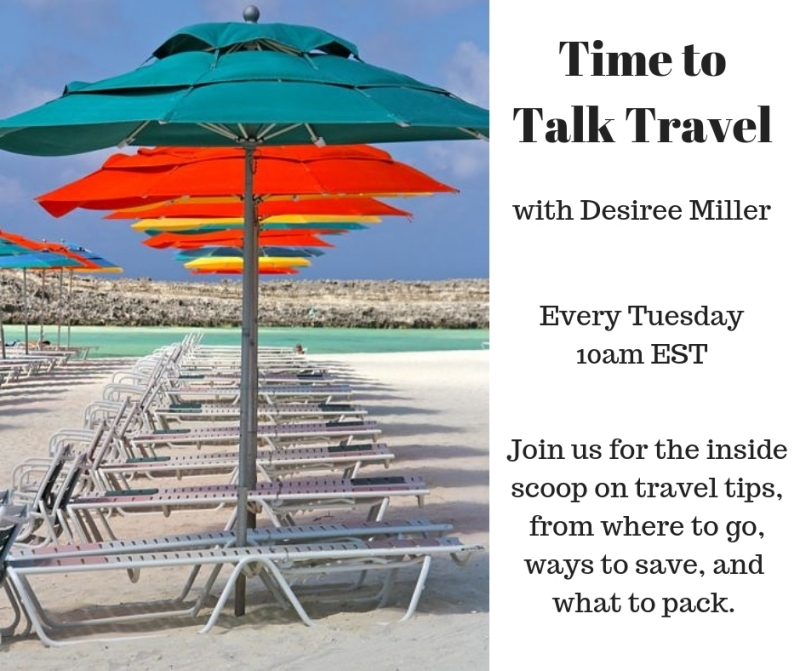 Join me on our Facebook page for some of my favorite travel tips and news every Tuesday at 10am EST for ‘Time to Talk Travel’ (you can see past episodes if you click the ‘On the Air’ button above). I’ll take you places as I share my favorite destinations and dream getaways, and share tips on how you can get there, too, whether you’re going it alone, along with your besties or taking the extended family. I’ll introduce you to top travelers and help make sure your next trip is a dream, instead of a nightmare. Want me to visit your corner of the world? Send me a note and let me know if you’re interested in being part of the show or sponsoring it. Email me at desiree@stressfreebaby.com.